The hosts are marvelous people. It is one’s home away from home. They arranged a private dinner with the island’s top chef. They know the island in infinite detail. The homes are decorated with every necessity met. Sumptuous breakfast. Property is very clean, cozy, & tranquil! Eliza is a remarkable hostess! She makes sure everything is perfect! The cople that owned the place were exteremely nice. They were very helpful. The bay is a beautiful one. Everything was perfect. 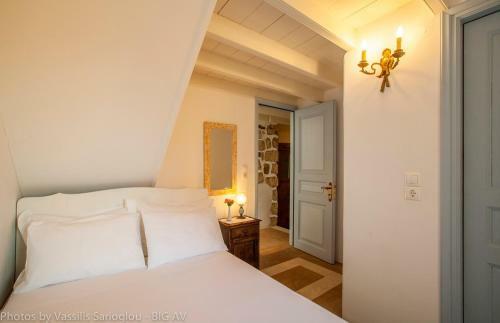 Very confortable and spacious apartment. Very well decorated. Stunning views and the hosts are very good. There's a large hotel nearby which caters for any additional requirements. The hosts were very welcoming and genuine, a pleasure to do business with. The lovely home and outstanding views exactly matched the photos. Upon arrival, we found wine, water, and a large basket of top notch fruit left by the hosts for us. 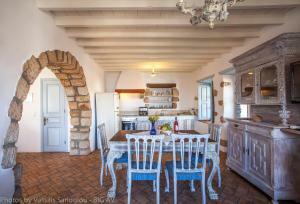 A short walk to the beach and an excellent restaurant, and a very quiet, romantic location. exzellente Adresse, überragend freundliche Gastgeber, Familienbetrieb, der keine Gästewünsche offenlässt. Selten so schöne Räume im Patmos-Stil gesehen. Jederzeit wieder unsere Topadresse! Frühstück individuell und frisch zubereitet. Stilvoll eingerichtetes, praktisches Studio, herrlicher Ausblick auf die Bucht, uneingesehene Terrasse mit Bank und Sonnenliege lädt an lauen Nächten auch zum Schlafen ein. Tägliche Reinigung von dezenter, netter Person. Nahe schöner Strände und Restaurants. Sehr hilfsbereite Gastgeber. We'll be back !!! Casa accogliente e molto pulita in posizione tranquilla. Le camere sono spaziose e l’arredamento grazioso. I proprietari ci hanno acconto con vino e frutta fresca e sono stati molto gentili. 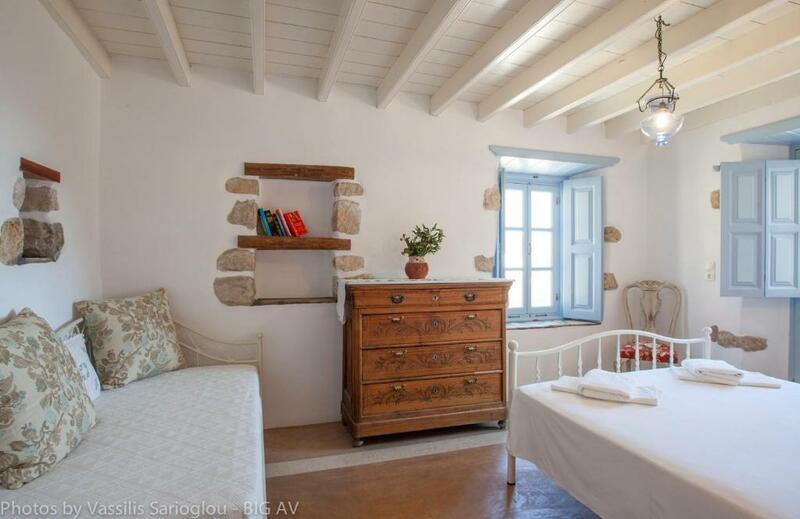 Lock in a great price for Theologos Houses – rated 9.5 by recent guests! 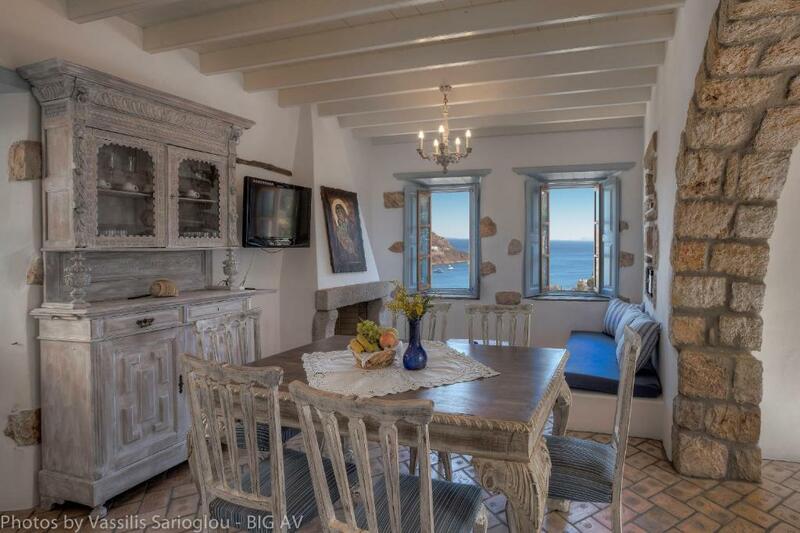 Set in Grikos Bay, and just a 2-minute walk from the sea, Theologos Houses is 1.9 mi from Patmos Chora and the Monastery of Agios Ioannis Theologos. Free WiFi is featured throughout the property and free private parking is available on site. 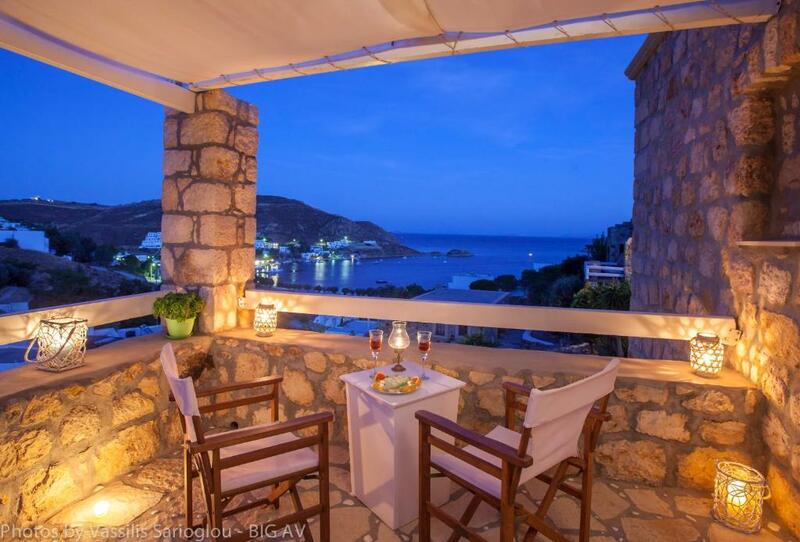 Traditionally built with stone, wood and ceramic tiles, all units have a terrace or balcony most with panoramic views of Grikos Bay. Each accommodations type includes a kitchen equipped with an oven, a toaster, and a fridge. Petra Beach is a 5-minute walk away, while tavernas and restaurants can also be reached within a few minutes’ walk. When would you like to stay at Theologos Houses? 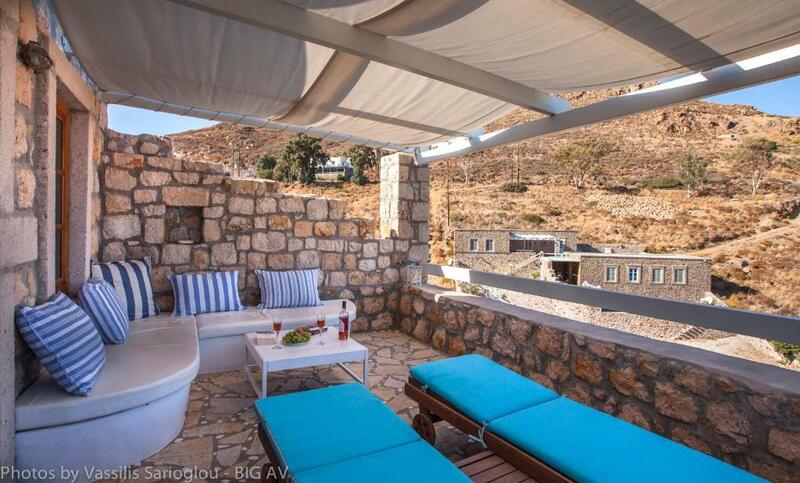 Traditional house with big balcony offering panoramic views over Grikos Bay. Just a 2-minute walk from the sea, this traditional house has big terraces with panoramic views over Grikos Bay. 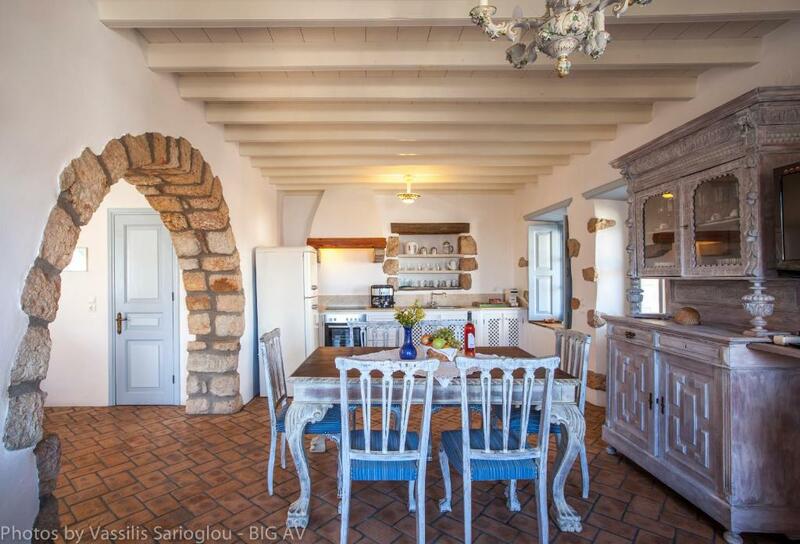 This traditional house is just a 1-minute walk from the sea. Kindly note that it does not offer any sea view. 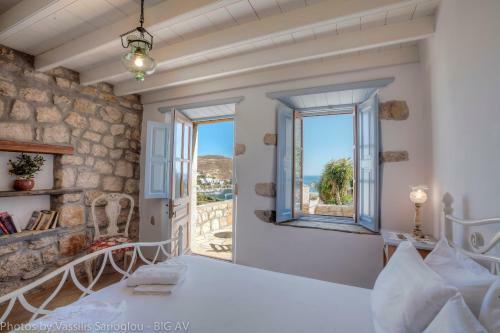 Just a 2-minute walk from the sea, this luxurious yet traditional house offers panoramic views of Grikos Bay. This holiday home features a balcony, air conditioning and sofa. 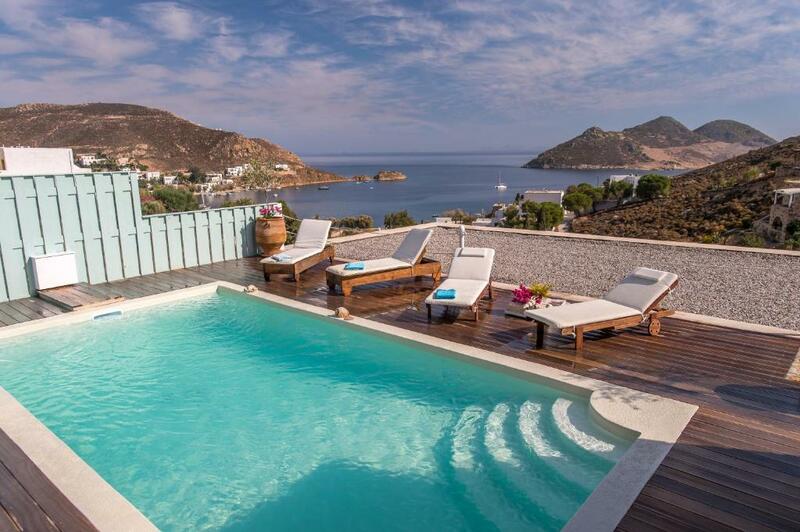 This villa features a balcony, electric kettle and sofa. This holiday home has a balcony and sea view. Le case di Theologos sono state costruite tutte da lui personalmente, curandosi della struttura, dei particolari, nonche' dell'arredamento. House Rules Theologos Houses takes special requests – add in the next step! Theologos Houses accepts these cards and reserves the right to temporarily hold an amount prior to arrival. Please inform Theologos Houses of your expected arrival time in advance. You can use the Special Requests box when booking, or contact the property directly using the contact details in your confirmation. WiFi needs to be a bit stronger and consistent. I think it was quite expencive for the low season. wine and fruit on arrival! 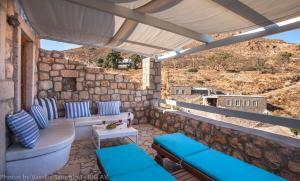 The images on booking.com looked like it came with a pool... my mistake for not noticing it was only the one private villa which included, however it could be construed as slightly mis-leading given it's the primary image used to advertise. Difficult to fault the property though, if I were to try and find something it would be the shower facilities were a little on the basic side for the money.